This data has been collected for the purpose of my thesis, ‘Kyd and Shakespeare: Authorship, Influence, and Collaboration’. 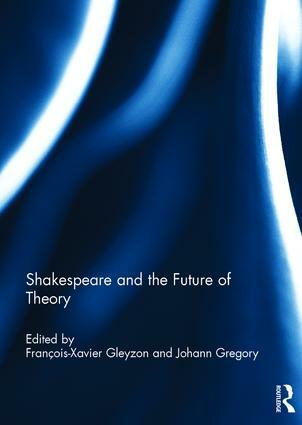 Shakespeare and the Future of Theory, eds. François-Xavier Gleyzon and Johann Gregory, convenes internationally renowned Shakespeare scholars, and scholars of the Early Modern period, and presents, discusses, and evaluates the most recent research and information concerning the future of theory in relation to Shakespeare’s corpus. Original in its aim and scope, the book argues for the critical importance of thinking Shakespeare now, and provides extensive reflections and profound insights into the dialogues between Shakespeare and Theory. Contributions explore Shakespeare through the lens of design theory, queer theory, psychoanalysis, Derrida and Foucault, amongst others, and offer an innovative interdisciplinary analysis of Shakespeare’s work. This book was originally published as two special issues of English Studies. You are currently browsing the Cardiff Shakespeare blog archives for August, 2015.